Last week we welcomed 48 visitors from the Arna centre for asylum seekers to take part in an activity-packed programme. The visit was part of our Meeting-place for Diversity programme, the aim of which is to help groups of visitors benefit from the diverse College community. 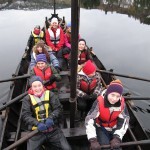 Since this was project week, we had a core group of 15 students who dedicated themselves to this interaction, led by staff members Liusaidh, Leonora and Hannah. The day-time activities included canoeing, archery, paddle boarding, fishing, arts and crafts, ceramics, dance and horse riding. Every evening we used the pool facilities at Haugland, which the children particularly enjoyed! Afterwards there was baking, film screenings, board games and a ping-pong tournament. The final evening was marked with the baking of delicious pizza and breads in the baking house, crafting friendship bracelets, board games and dancing. The programme is made possible with support from IMDI and UDI. It was most rewarding for all involved and hopefully the beginning of a long term co-operation with our new friends in Arna. On 19 October, on the occasion of their state visit to China, their Majesties King Harald and Queen Sonja of Norway visited UWC Changshu China. UWC Changshu China is the only United World College school/college in the mainland of China and currently has 570 students from over 100 countries and regions. Alongside the other 16 UWC schools and colleges worldwide, UWC Changshu China is committed to UWC’s mission: to make education a force to unite people, nations and cultures for peace and a sustainable future. Queen Sonja of Norway is the patron of UWC Changshu’s sister school in Norway, UWC Red Cross Nordic. She has supported UWC Red Cross Nordic since it was founded and has visited many times. 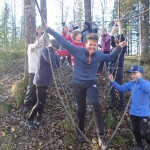 The school received Queen Sonja’s particular attention due to its provision of a world-class education to students, independent of their socio-economic background. 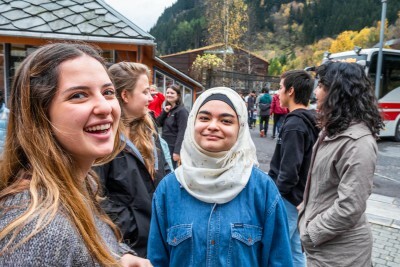 Students are selected through UWC’s network of over 155 national committees and funded through one of the world’s most comprehensive secondary education scholarship systems. The royal couple were warmly welcomed on their arrival by the entire school community including Mark Jiapeng Wang, founder and Chair of the Board; Yi Wang, Vice Chair of the Board; Pelham Lindfield Roberts, Principal; and current students from China, Norway and many other countries. Queen Sonja and Mark Jiapeng Wang first met each other 20 years ago when, thanks to the generosity of Queen Sonja, Mark was awarded a scholarship to study at UWC Red Cross Nordic. After his graduation, Mark pursued his dream of founding a UWC school in the mainland of China, and this became a reality when UWC Changshu China opened in 2015. 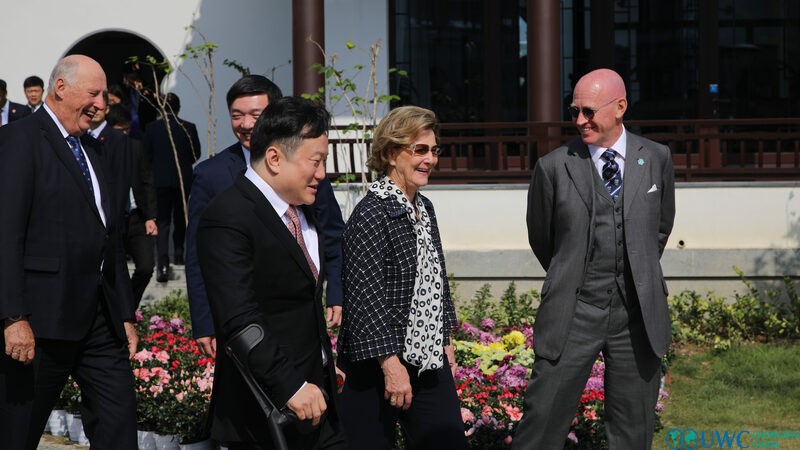 Visiting UWC Changshu gave Queen Sonja the opportunity to witness firsthand how Mark Wang’s vision to open a UWC school in his home country materialized, and the impact that her scholarship to Mark has had on the UWC movement. During the visit to UWC Changshu China, King Harald and Queen Sonja visited the newly founded Yushan Academy. The academy is a new addition to UWC Changshu China, hosting a Center for Chinese Programmes and a Centre for Design and Innovation. They planted a tree at Yushan Academy to commemorate this historic visit before attending a short performance by the students. In an interview with NRK TV of Norway, Queen Sonja said that she was greatly impressed by Mark Jiapeng Wang when she first met him at UWC Red Cross Nordic, and how proud she is to see what Mark had achieved in his home country. “It is my immense honour and privilege as the Founder and Chair of UWC Changshu China to welcome their Majesties King Harald and Queen Sonja to our College. It was during their State Visit in 1997, that Queen Sonja announced a Norwegian government-funded scholarship for a Chinese disabled student to attend Red Cross Nordic UWC. At that time, I was desperate to continue my education beyond what I had been able to learn while in hospital after being seriously injured in a plane crash. I was so excited to be selected to study in Norway and since then I have been full of gratitude for Her Majesty. UWC transformed my life and gave me hope to provide many, many more young people with the same opportunity. When Her Majesty invited me to visit her royal castle in Oslo, I told her that I would like to build a United World College in the mainland of China. Her encouragement that day remained with me and kept me going no matter how difficult the journey became. “The RCN experience is not fulfilled unless you really step out of your comfort zone and experience the world in a whole new light”, they say. 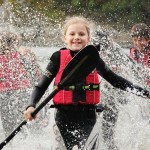 The three-day, two night kayaking adventure we took part in was nothing short of a true RCN experience – including being outdoors in a “whole new experience of rain”! 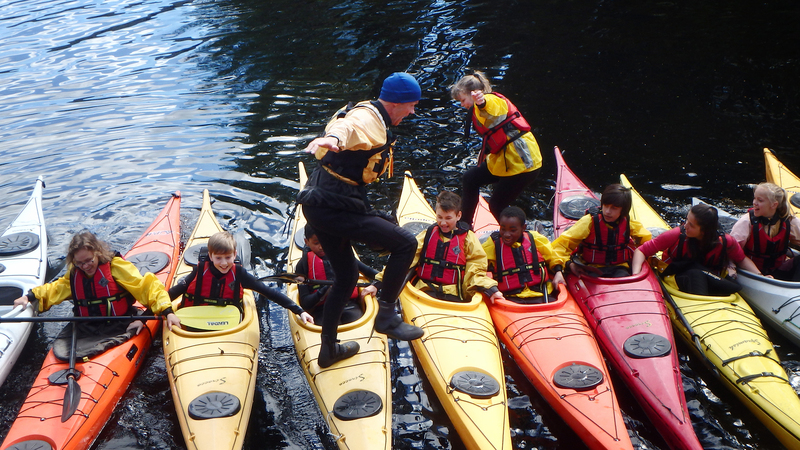 Collectively, we were all elated and slightly nervous about embarking on our kayaking journey. 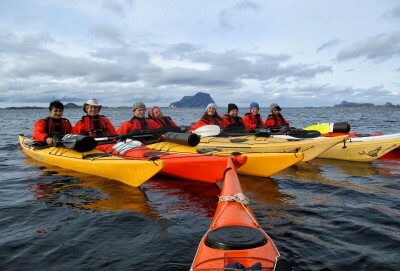 After a couple of hours the previous day learning how to fall over (easy) and learning how to help each other back into the kayak (surprisingly do-able), we packed up and drove to Korssund, to set off in our kayaks, a bit clumsily at first, appreciating a fresh burst of cool sea breeze. The windy conditions just added to the anticipation for the adventure to comes. 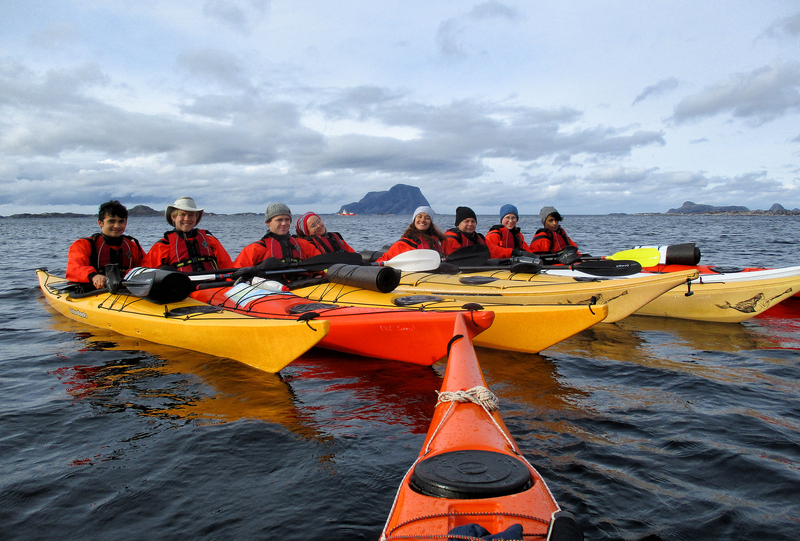 Continuing around the west coastline, with open seas on our left, we experienced some breathtaking views – including the island of Alden and paddled past the WW2 Nazi bunkers at Lammetun, enjoying seeing a seal, eagles, and an otter. Despite the weather being a little rough at times, we pushed through and found a great campsite near a farm, shielded from the wind by trees. We quickly had to figure out how to set up the tents, a team effort for the most part because many of us hadn’t been camping before. After everything was sorted we got cosy and made dinner together and enjoyed a warm cup of hot chocolate to conclude the day. The next day’s weather was a little wetter and windier, but it didn’t stop us and we felt we had gained quite a bit of experience from the day before; we also really appreciated using the new RCN dry suits, especially with so much rain. As a team we seemed to work together more cohesively, looking out for each other. We continued along Dalsfjord, had one capsize event, and another night’s camp in cosy dry tents through a downpour. 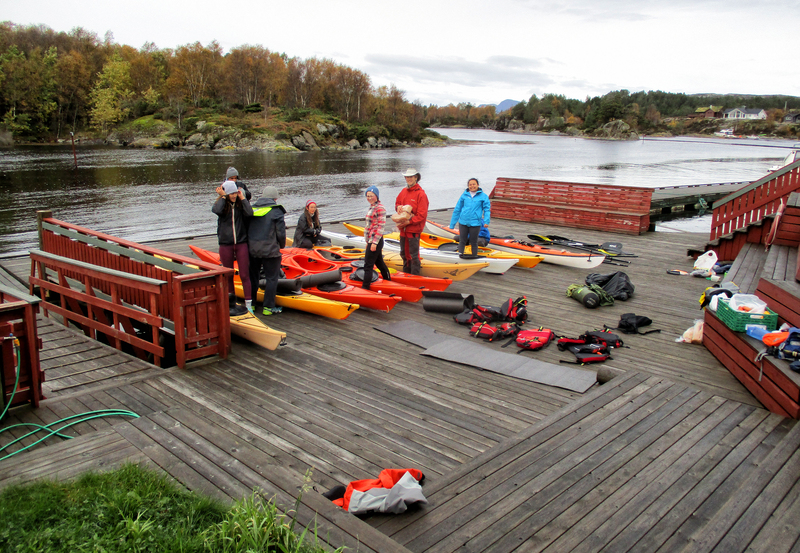 The next morning we paddled along a calm (and rainy) fjord, enjoying lunch under a tarpaulin at Jensbua. A lot of lessons were learned, friendships made, and memories to last a lifetime: this sea kayaking and camping PBL was a fulfilling experience that impacted us in many different ways!